Continuity Programs is pleased to announce it will be sponsoring the Awards Gala at this year’s LeadingRE Conference Week. 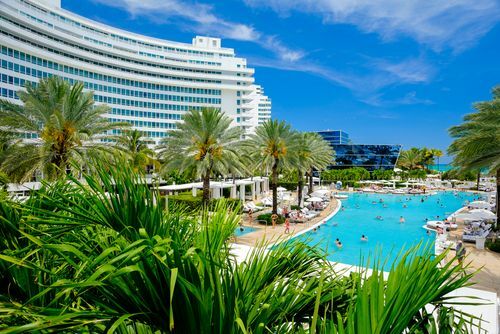 The premier professional development event will be held from February 27 to March 5 at the historic Fontainebleau Miami Beach, and is expected to draw more than 2,500 industry professionals. The Bubbles and Bows Awards Gala reception and dinner showcases the network’s top performers and this year’s event features entertainment from acclaimed dance band Libido. Each year the conference brings together the leaders of the world’s top independent real estate firms who discuss topics ranging from innovative ways to build companies, support teams, and better serve homebuyers and sellers. The planners promise an agenda that will inspire, inform, and re-energize attendees, offering them a valuable opportunity to establish powerful connections with the global real estate community. The conference is a once-a-year chance for real estate professionals to dive deep into the current market trends. The agenda for 2017 includes separate events for sales associates, brokers, sales managers, and business development personnel, as well as marketing and tech professionals. There also will be plenty of discussions on what lies ahead for the industry, covering topics like changing consumer demographics, the increased use of technologies, shifts in the economy, and more. John Foley, former lead solo pilot for the U.S. Navy’s Blue Angels and organizational performance expert. Josh Linkner, NYT bestselling author and founder and CEO of four startup tech companies. Susan Constantine, the world’s leading authority on body language as it pertains to leadership. Dink Card, Continuity’s real estate marketing expert and Senior Account Manager, will be in attendance, so please let us know if you’re planning to attend and would like to schedule a meeting with her. Take advantage of this opportunity to learn how you can generate three times more repeat business and 5+% more referrals, measure your client satisfaction, and receive testimonials at virtually no cost to your company!